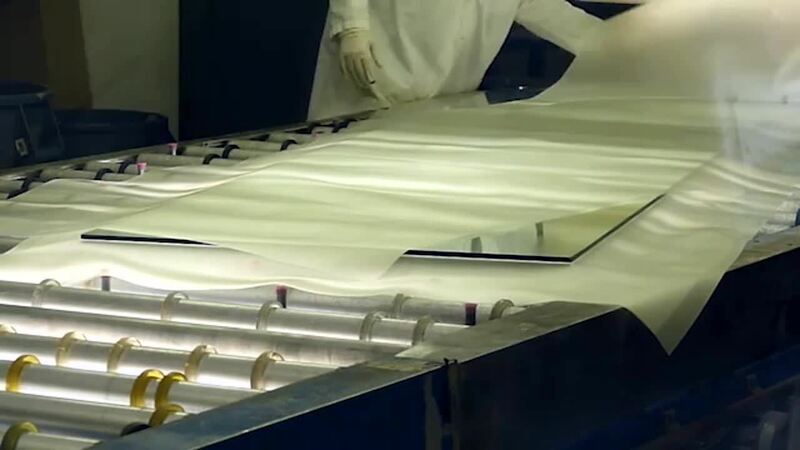 Improvements in manufacturing and enhanced energy efficiency from high performance, low-emissivity coatings and spectrally-selective tinted glass have made specifying large glass units easier. However, while it’s gotten easier, there are several factors that need to be considered in order to ensure a successful project when specifying large insulating glass units. 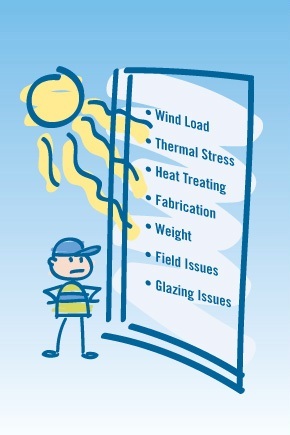 Wind Load: Heat-treating helps with wind load, but it doesn’t help with the center of glass deflection. 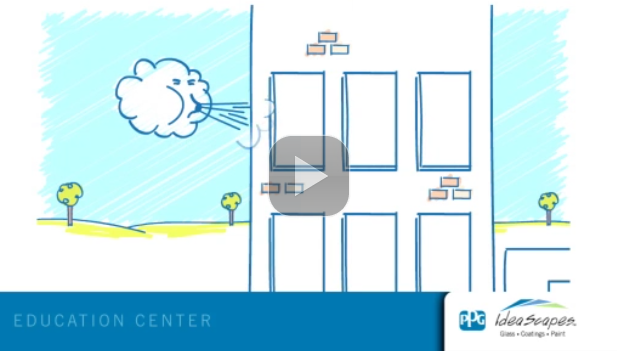 Deflection occurs when the glass physically bows into or out of the building because of positive and negative wind loads. Excessive deflection may cause discomfort and/or concern the occupants of the building, and could potentially result in loss of edge support of the IG. Vitro Architectural Glass (formerly PPG glass) recommends designing glass units that don’t exceed ¾” of deflection. 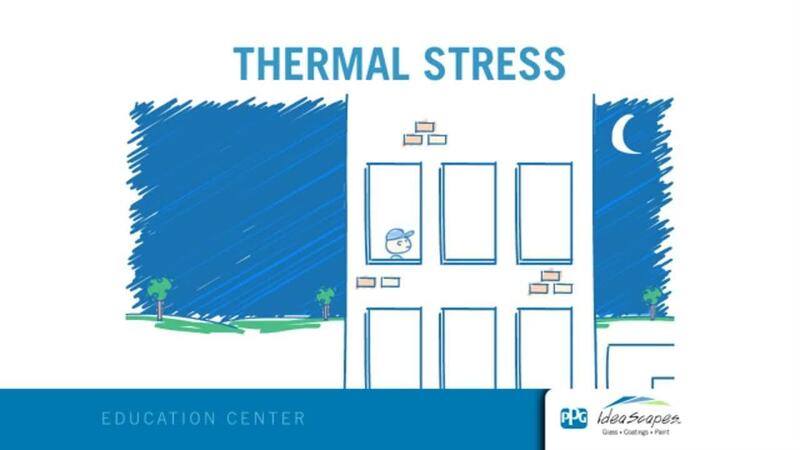 Thermal Stress: A thermal stress break is a possibility with glass and that’s especially true with large panels. A thermal stress break occurs when the center of the glass becomes hotter than the edge of the glass that expands, as the resulting stress then exceeds the strength of the edge. Because of the long perimeter of the edge, large IGUs have an even greater risk for thermal stress breaks. The most likely time of day for a thermal break to occur is at sunrise. This is due to the fact that at night, the glass panel becomes cool, then when the sun comes up and hits the glass, the glass warms up quickly, which puts stress on the cooler edges. To ensure a large glass unit will perform under the anticipated thermal loads, Vitro glass recommends working closely with a qualified fabricator and getting a thermal stress analysis completed at the beginning of the design phase. Vitro glass has developed a thermal stress analysis tool that anyone can use. Heat Treating: With units of this size, chances are that the glass will need heat treating. However, while heat-treating makes glass more resistant to wind loads and thermal stress, it also increases the chance of distortion. 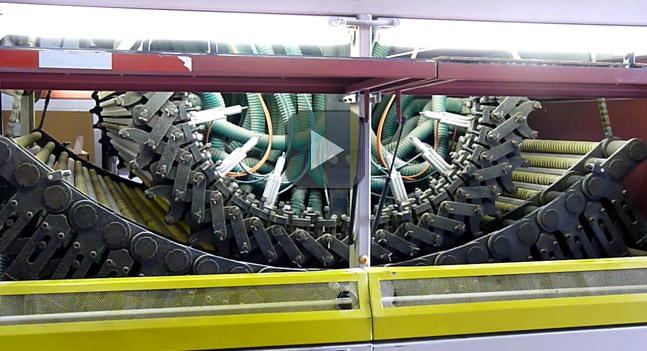 Fabrication: Large glass units can be tough to handle during fabrication. Large pieces of glass are simply more difficult to manage through the fabrication process than smaller ones. In addition, larger glass units tend to have more issues with spacers and seal ruptures, distortion and damage within the sealed air cavity. Weight: Large glass units are HEAVY, and that weight increases the chance of damage during fabrication, handling and glazing. One way to help prevent damage includes making sure that both the glazing contractor and the glass fabricator have the proper capabilities, equipment (such as lift assist equipment/cranes/etc.) and experience in handling large IGs. Field Issues: Large glass can be extremely unwieldy, and that means the people working with it have to be extra careful to prevent it from breaking or damaging the edges and from being exposed to temperature extremes, which can also cause breakage. It’s essential that the glazing contractor working on the project put safety first, including having enough people, the right equipment on hand to prevent injuries and experience in working with large IGs. Glazing: Large glass units require a glazing system that is specifically designed for these types of units because the system needs to be able to support the heavy weight of the glass. This is also where cost and budget come into play. Different glazings have different costs, you have to weigh the cost of a particular glazing versus the benefit it provides. For complete technical information about large IGUs, read Vitro Architectural Glass Technical Document TD-140. For any other glass questions, please contact Vitro glass or call 1-855-VTRO-GLS (1-855-887-6457).